So, for the first time in 7 years I seem to have 5 days a week to myself. Yes, that’s right, both of the girls are now in full time education – eep! I now need to find a balance between pattern designing, teaching, looking after the girls, walking the dog and running a household. Seems a little daunting to be honest as there are so many things I want to do and so little time (seriously, how short is the school day???). I’m already missing having Emily around…although dog walking has become a much faster job! 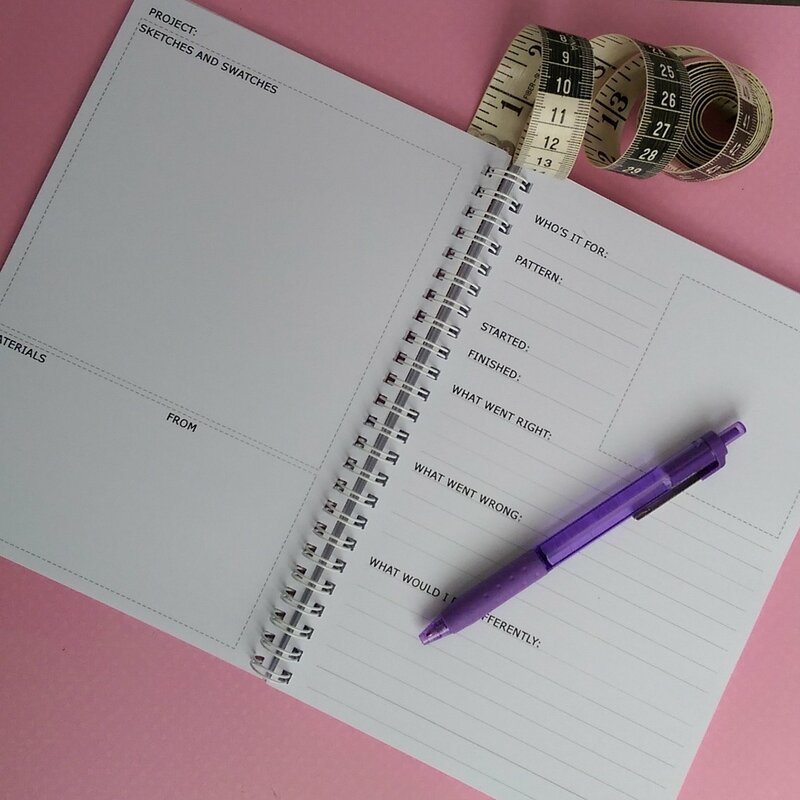 This week I am spending some time getting myself a little organised and making sure that I don’t fritter away my time. I also have a sewing room to tidy – such a tip following the summer holidays. 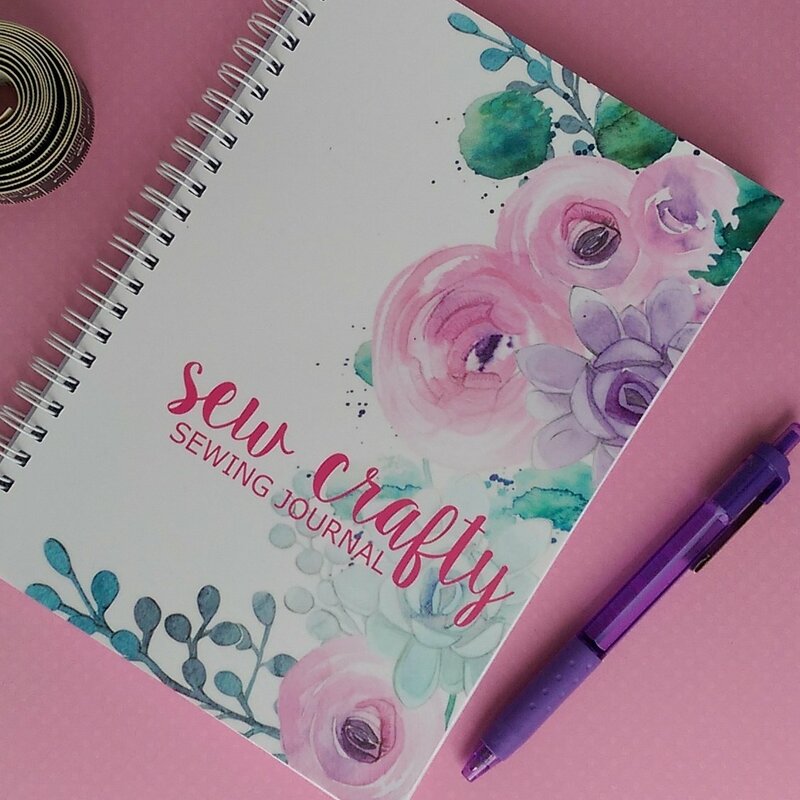 To help get organised with my sewing projects I’m going to use the new Sewing Journal from Sew Crafty, isn’t it rather lovely? There’s a double page spread to document all of the important aspects of your projects (you could even use it for knitting, quilting or crochet projects). I love to keep track of everything I make as it’s so easy forget what you’ve been up to. Even better if you can document changes you’ve made to a pattern so that you can remember for next time around. There are also double page spreads to document other notes and ideas…both lined and plain pages (I just love plain pages!). Whilst you are there check out the multi-coloured Clover clips they have for sale….love them!